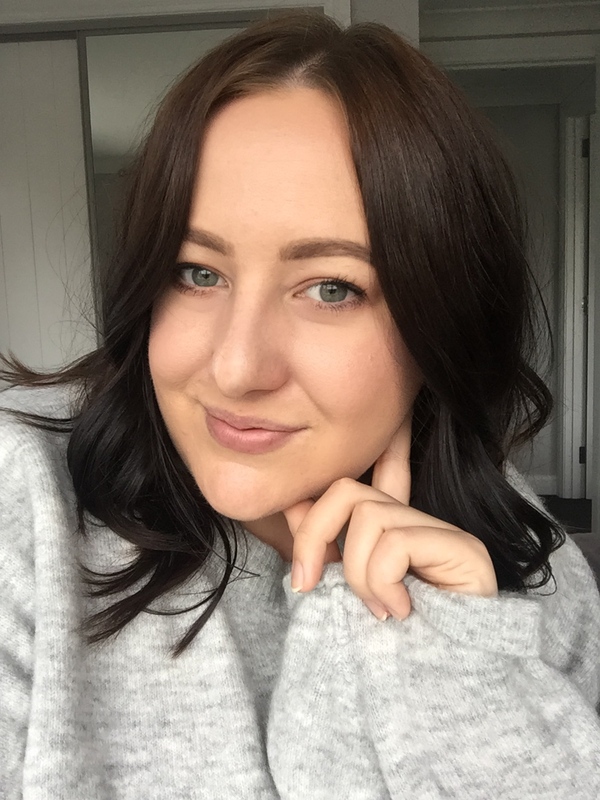 My limbs are in dire need of a bit of a tan after being hidden away over the winter, and this product is coming in very handy when I need a quick fix to give my skin some colour. 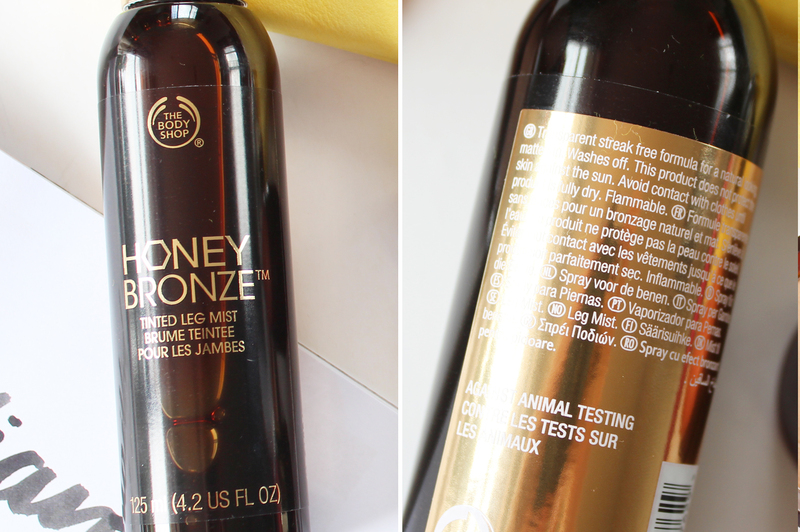 Basically this works as a wash off, light instant tanning product. The pump on this is the only downside though as it sort of sprays out in big clumps of colour rather than an even spray which would work a lot better, but that one gripe aside this Tinted Leg Mist is pretty awesome. It is easy to spread and blend on the skin and dries down pretty much instantly. I've also been using this on my arms as well as my legs when I need it, and I find it gives an extremely natural colour to the skin that isn't so obvious like some fake tans can look. It's natural, wears well on the skin and doesn't fade, streak or smudge until you wash it off. Big thumbs up from me. 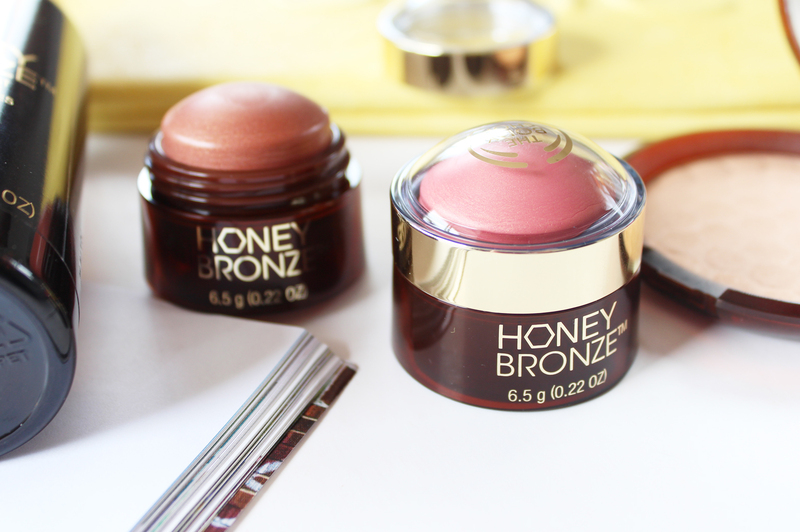 I was super intrigued by these cute new additions to the Honey Bronze line. 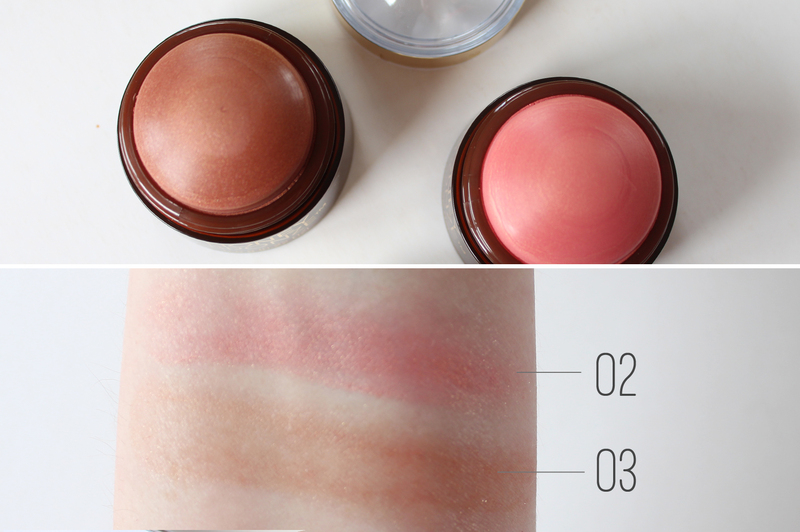 There are three shades of these domes, 01 is a light golden shade, which I suspect would make a beautiful highlight shade, 02 is a coral pink (great blush shade), and 03 is a darker bronze (good for darker skins). I find these very interesting products; I wasn't sold on the dome shape and packaging initially but I've grown to really like it - it makes it really easy to apply straight from the dome just doted along on the cheeks and blended out either with your finger, or a makeup sponge. These are very shimmery, and also very sheer once applied and blended (but you can build up the colour), which might not be to everyone's preference. They're definitely ones for the summer to really enhance a tan, or to give your skin a bit of luminosity. They also have a really delicious light honey scent to them, which you might suspect from the name! This range came into stores and online at the start of October, so you'll definitely be able to track down the products. As well as the Leg Mist and Highlighting Domes, there is also a Face Gel (RRP $32.75), designed as a wash-off bronzer for the face, much like the leg mist. 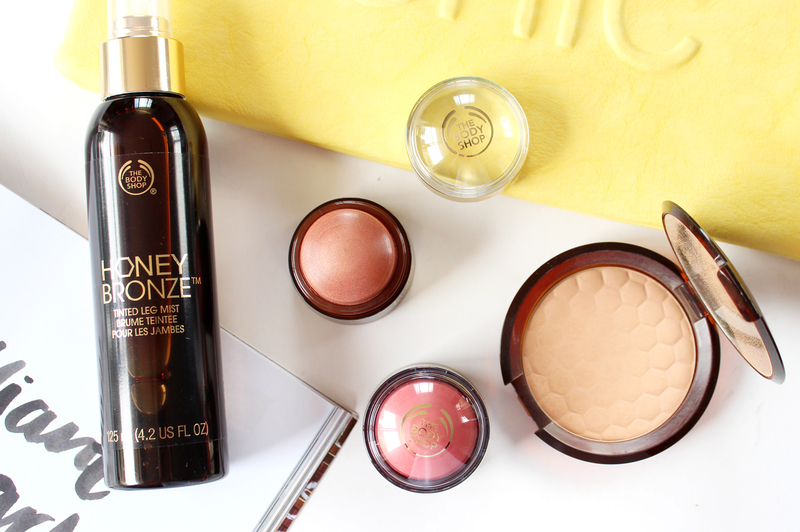 Have you used any products from the Honey Bronze range? What do you think of the new additions?